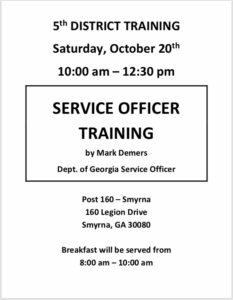 Service Officer Training 10/20 – Horace Orr Post 29, Inc. The district is conducting Service Officer Training this Saturday. See the flyer below.